There will come a time in your life when you meet like-minded people who get you & share your ideals. When you meet people like these, the only natural thing to do is collaborate & see where it takes you. It usually leads to surprisingly amazing moments which touches the hearts of those who experience it first hand & even those who hear the stories. From there, the possibilities are infinite. This is merely the beginning of more great things to come. Earlier this month, a team of 5 amazing individuals arrived at our school. They called themselves the #missionKatibas team. They came with big hearts, lots of smiles, gave a lot of love & encouragement to my students, shared their lives, & they left a deep impression on my students. Many of my students expressed a clearer idea of what they wanted to achieve in life. They even expressed a greater desire to study hard & do better in SPM & PMR. It's amazing how much I have learned from them. I respect them for braving the unreasonable stigmas associated with travelling to the interiors of our superstitious country. Usually, nobody would want to come to our school because it is so deep in the interiors. You have to take a boat, risk the infinite possible bad things that would happen on boats, you might even get eaten up by crocodiles or swept away by spirits. Esp Malaysians. They want flashy consumer products, bright lights, fine-dining & skyscrapers. They forgot that the Earth as it is is the most beautiful. They also forgot that the most blessed gift of all is giving. Because they came with such big hearts, in return, we gave the #missionKatibas team an experience that money can never buy. The #missionKatibas team was lead by Sarah from Teach For Malaysia, an organisation I think is looking wholeheartedly at making a real difference in a neglected area of our education system. Together with her are Trish, Sonia, Wai Leem & Esther. 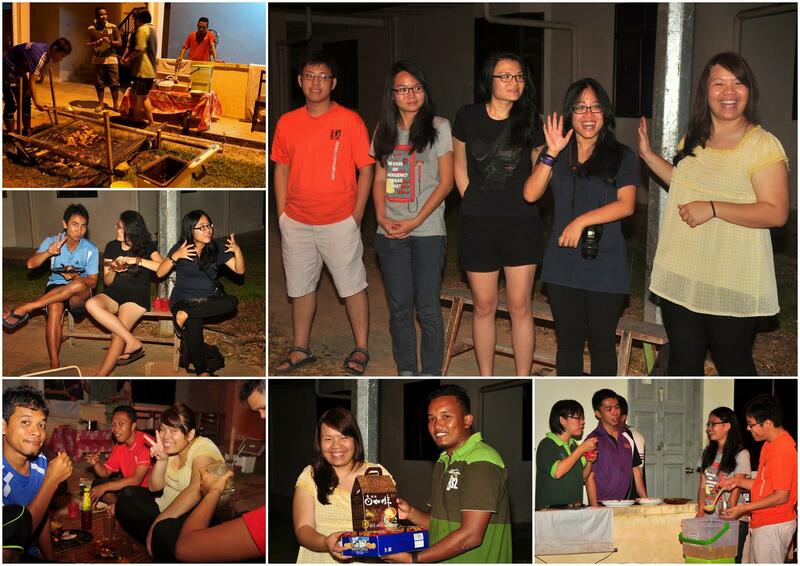 We welcomed them with a simple BBQ dinner where they get to mingle with the Project X+ team. Our chef, Cikgu Hayazi, was able to work magic out of really simple ingredients. Great job! On the first morning, they conducted a survey on behalf of Teach For Malaysia. I wasn't around because I had class but, from what I understood, this survey was conducted to gauge what Malaysian students are like: their interests, ambitions, hopes, etc. It would be interesting to see the results of the survey. I'm glad that they chose to represent an interior school in the data. 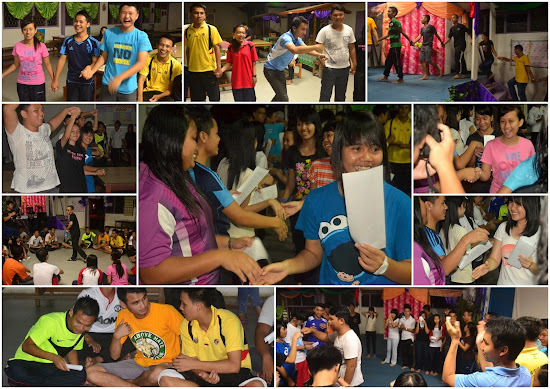 In the afternoon, we did an activity for our guests. 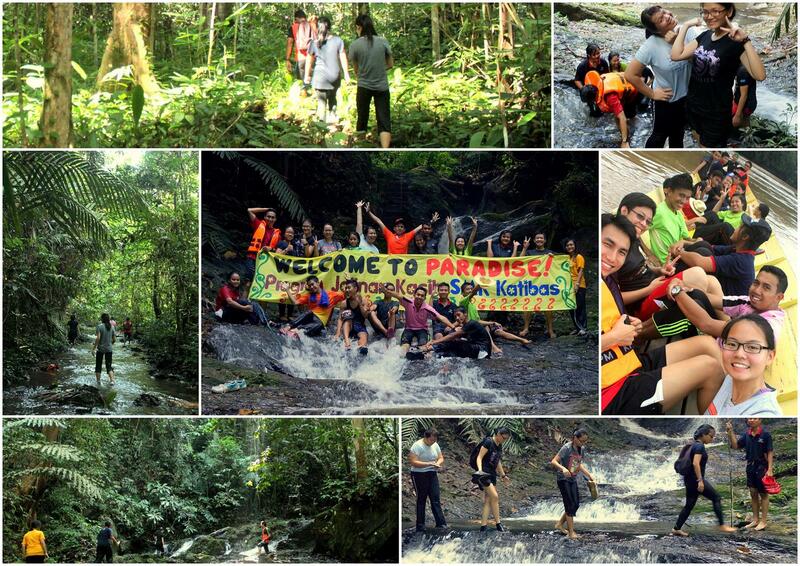 We took them jungle trekking & they loved it. 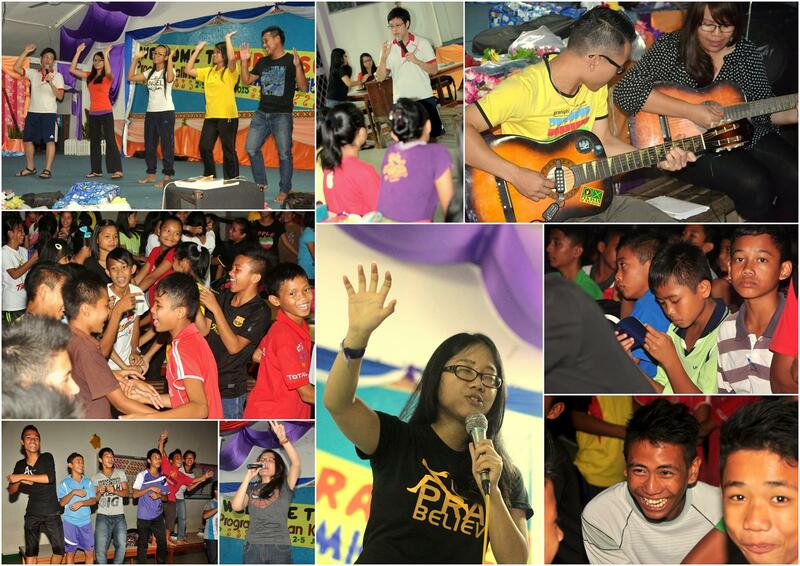 That night, they conducted a Youth Service for my students. I asked the #missionKatibas team to do this because I wanted them to speak to every student at our school. Thus, using them to the maximum as we do not get guests very often. I also wanted them to provide some religious teaching to my students because I find that they have a really shallow Christian faith (100% non-Muslim students so no proselytising happening here). 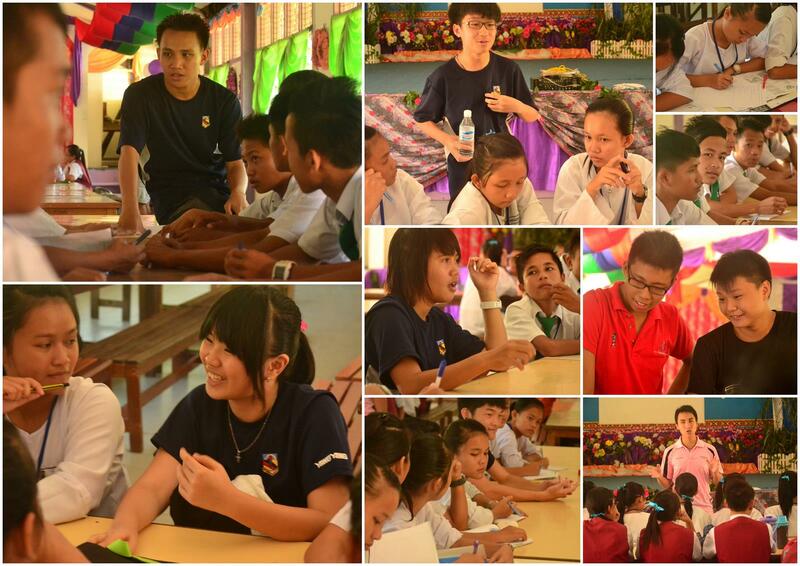 The next morning, they conducted a PMR Motivation Workshop for my Form 3 students. They helped my students realise & develop their multiple intelligences as well as make pledges for their PMR exams. 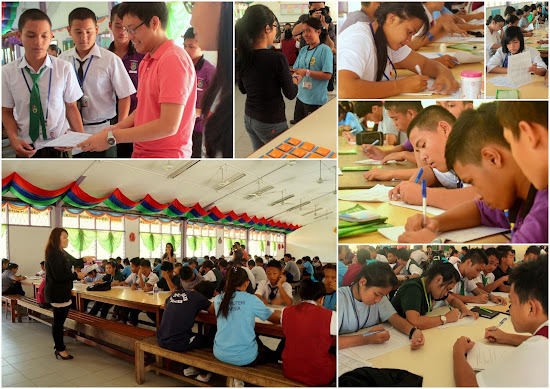 The next morning, they also conducted an SPM Motivation Workshop for my Form 5 students. My students charted their lives & a vision for their future. It was a powerful activity as they were able to visualise what they wanted to achieve in the future. Also, each student was given an A4 size picture of themselves dressed in graduation robes. The students loved those pictures & it was also a very powerful tool to motivate them to strive towards their dreams. 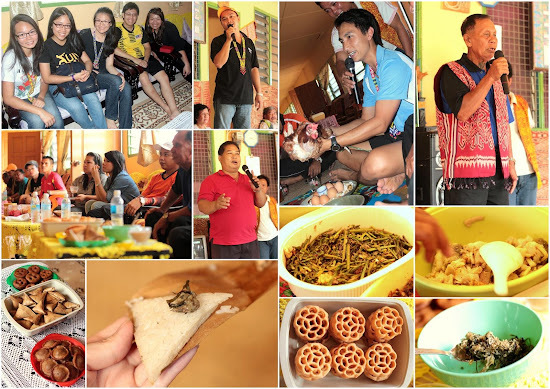 In the afternoon, I took them to a nearby longhouse for a cultural visit. We visited TR Pillai. We received a very warm reception & were given the whole cultural package. We were welcomed with the engekeromong (traditional cymbal ensemble), their best tuak (rice wine) & the ngajat (traditional dance). We were served traditional cakes & local delicacies too! I don't know about the others but I had a great time filling my belly. That night, my school put together a Cultural Night in honour of our guests & in appreciation of their efforts in helping the school. 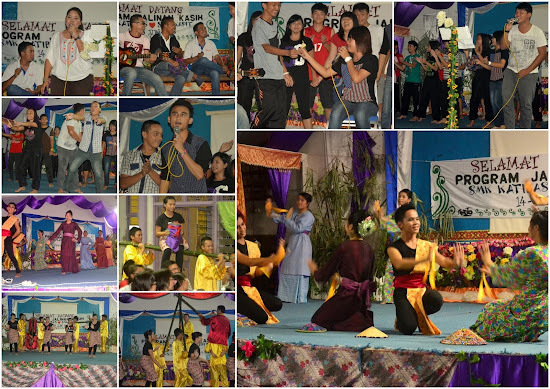 We had traditional dances, a sketch, bands & choirs. Even the teachers put up a show! People who come to my school & give will not receive financial compensation or fame. But, they leave with a better understanding of the local people & their living conditions. They gain valuable insights & discover a bond with my students that they will never be able to find in any urban school. This is the beauty of Katibas. They will be much better off than the many millions of Malaysians out there who gladly point accusing fingers at Sarawak in political spite despite being unwilling to lift a finger to help. Thank you, Sarah, Trish, Sonia, Wai Leem & Esther. You have made a difference. I know that this is just the beginning for many of you. This experience will change you, just as it has changed me. View all the pictures here. My school is deep in the interiors of Sarawak & one of the drawbacks of such a setting is a young teaching staff without much experience. Take myself for an example. This is only my 5th year as a teacher & yet I'm regarded as a grandpa here. Due to our location, no experienced teachers, Guru Pakar, or Guru Cemerlang would want to make the long journey here to speak to our high-need students. Even the lauded ETAs have found it implausible to base themselves in the primary schools of our area. Honestly, they could get the same brownie points by just doing what they do at more accessible schools. There is a high demand for such talks all over Sarawak & our school is not able to offer comparable incentive to attract these specialists. Which brings me to ask, WHAT IS THE NEXT BEST THING? If nobody wants to come, we will GO. We, the teachers, will pay our own way to GO, LEARN & BRING BACK all the speciality knowledge required to best equip our students for the biggest exams of their lives. Yes, nobody wants to come here. Yes, higher ups rarely call us, interior school teachers, to trainings. But, we will not make any excuses. We will take responsibility for our students's development. We will do our best to give them the best education we can. Who will want to receive such a group of obscure teachers from an unheard of school? The truth is. Very few. Most principals of better performing schools can't be bothered to entertain guests from an unknown school when they receive so many visits from illustrious organisations every year. I was, however, very fortunate to have made the acquaintance of the principal of SMK St Elizabeth, Sibu, who stood outside in the elements one Friday afternoon & welcomed us to his school like VIPs. This school is an exemplary high performing school. 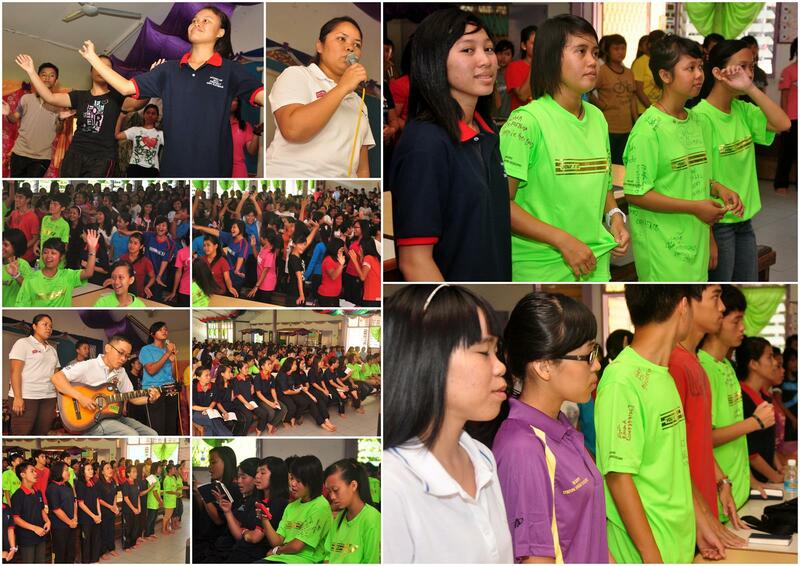 It is amongst the top 10 schools in Sarawak. 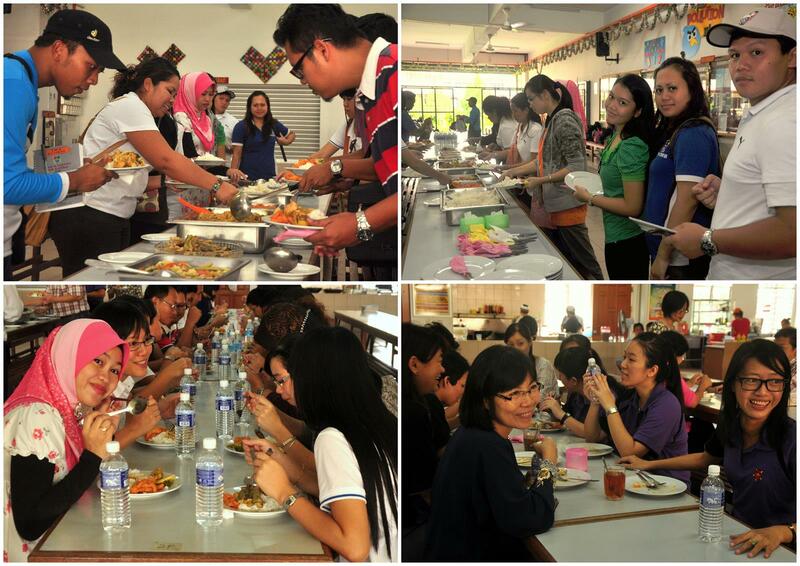 #1 or #2 if you discount the SM Sains-es & SM Agama-s where they recruit & enrol high-performing students. This school is a just common secondary school which moulds its students into top students. Something that we can emulate. The school staff, the principal & the prefects lined up to welcome us like VIPs. p/s: Spot the Project X t-shirt! I'll write about it soon! We were treated to a delicious lunch at their canteen. We had just arrived in Sibu by boat & we were very hungry. 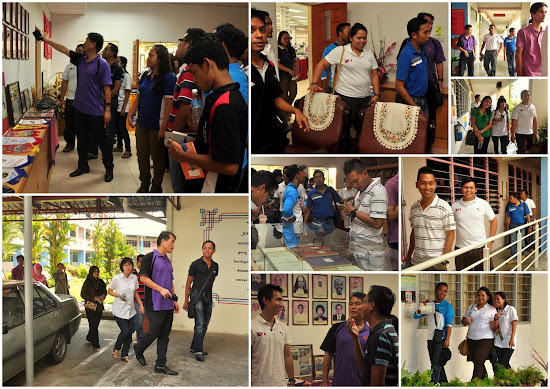 Later on, we were given a tour of the school premises. We were shown the Memorabilia Room, the park in the middle of the school, classrooms, Teachers's Office, Principal's Office, etc. Then, we were ushered into the Meeting Room where we had our Sharing Session between teachers. St Eliza's teachers were very generous in sharing their expertise. Many of them had years of experience under their belts & many were examiners or past-examiners. We learned so much from them. Very gracious. The staff & their leaders. We were very thankful. Many of our teachers were pleasantly surprised at what was shared with them. They left with big smiles on their faces. Honestly, even at our own school, not everybody believed in what we were doing. There were teachers teaching core subjects at our school who did not see the value in taking part in this program. It is their loss & the loss of their students. Fortunately, we had enough teachers to cover for those who could not or chose not to attend. In this way, we made the best of this opportunity for our students. Some teachers have already conducted workshops while others are planning to do so. One advantage of having a young teaching staff is their energy, drive, as well as their willingness to learn & serve. I could never have chosen a better group of teachers to work with. Is your school in a similar situation? Perhaps this is something that you could do for your teachers who are really receptive? Just an idea. It does not take big people to make a big difference. Just big hearts. Going gong ho in the jungle. These were the people who made it happen. 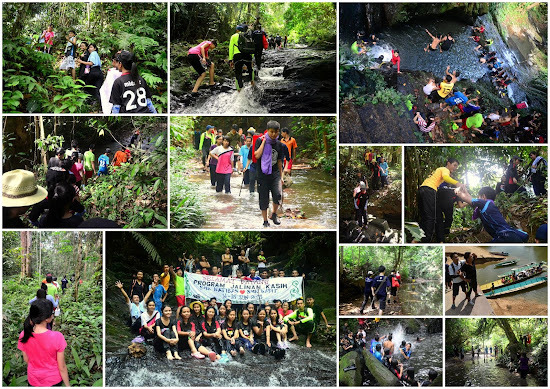 During the weekend right after the school holidays, a group of adventurous top students & a teacher from SMK Kapit paid a visit to my school. I wanted to give my students quality role models. They wanted a jungle adventure to remember. I think we've got ourselves a fair exchange, don't we? And after wading through a whole bunch of bureaucracy, we made it happen. The biggest challenge in materialising this program was not bureaucracy. It was overcoming people's preconceived perceptions of my ulu school & the benefits of travelling to such a secluded place. Let's not talk about inviting Guru Cemerlangs or students from Sibu or Kuching or anywhere else further away. Even the people in nearby Kapit were reluctant to allow their children to travel to Katibas. They were afraid of deadly boat rides where non-existent crocodiles infest the waters. They did not think that travelling to such an ulu place would benefit their children. One participant told me the story of how she had to be stubbornly persistent with her parents to be allowed to take part. Eventually, her parents consented with her father telling her mother, "let her come back crying & she'll understand why we did not agree." So, after a few withdrawals & replacements in the group, 15 students & 1 teacher came. They were certainly a group of people to cherish & that was exactly what we did. So, did they run home to mommy in tears? Take a look at the pictures & judge for yourself. 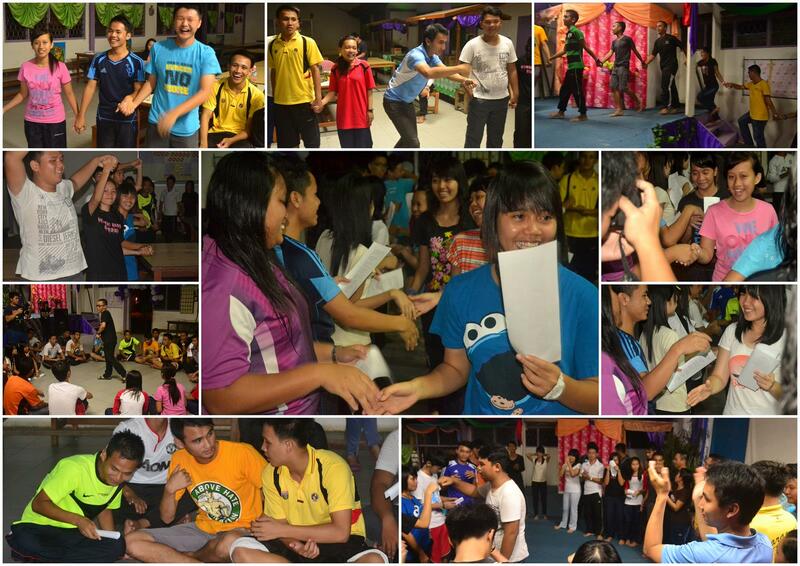 On their first night, we did an introduction & ice breaking for them. My students also gave them a romantic midnight tour of the school after the event. 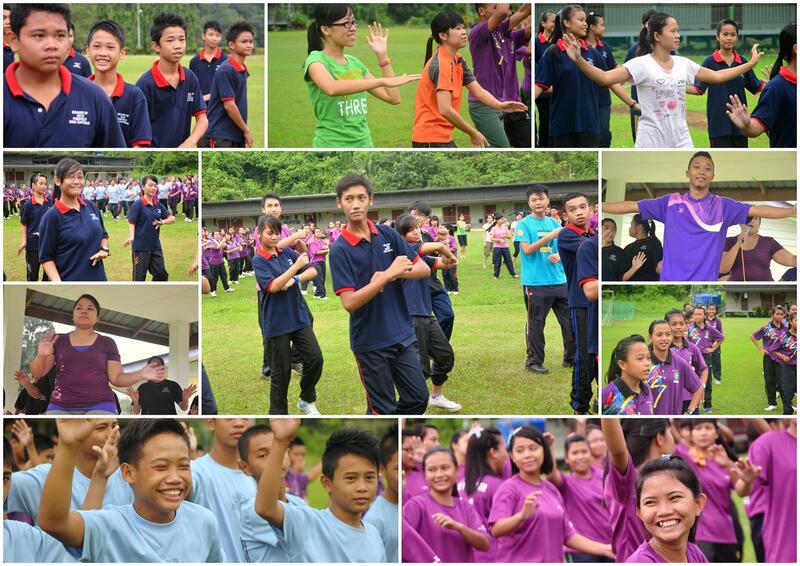 Early the next morning, the whole school took to the field & we did aerobics together with our guests. Later, the top Form 5 students from SMK Kapit did a workshop with our Form 3 students who were going to sit for PMR. I think that they were the ideal role models for my students. Role models are something that we are of short supply in this region. Better students usually leave for better schools. So do local residents who do better in their lives. 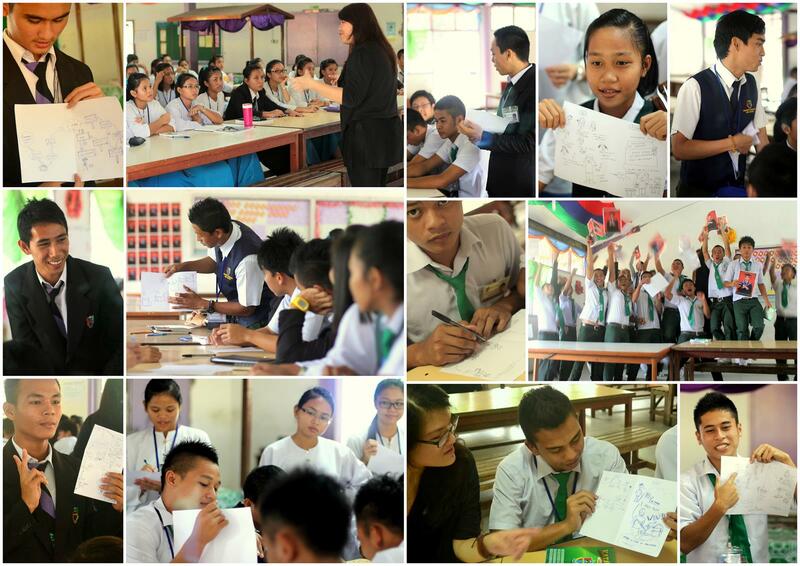 After that, it was the Form 6 students' turn to conduct a workshop for my Form 5 students. They may not have been the top students at their school, but their experiences will be able to help my students prepare. 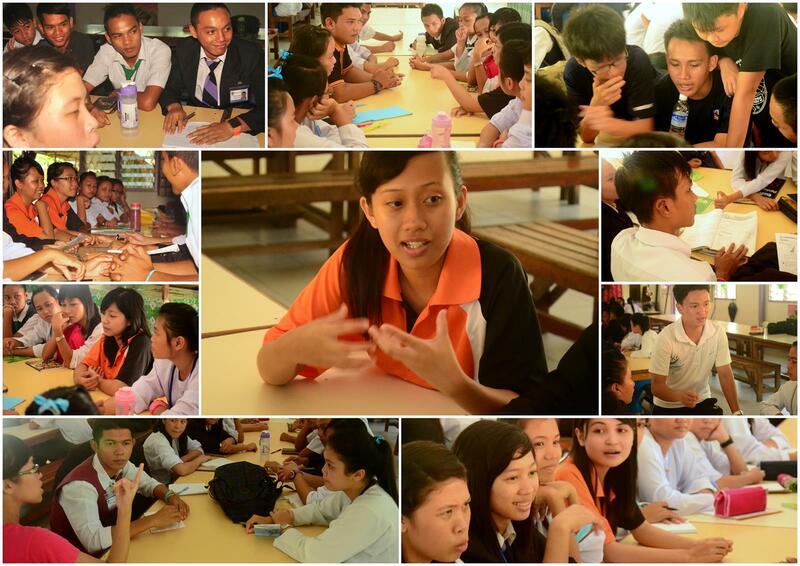 I also pulled in the Form 5 students from SMK Kapit to work with my science stream Form 5 students. 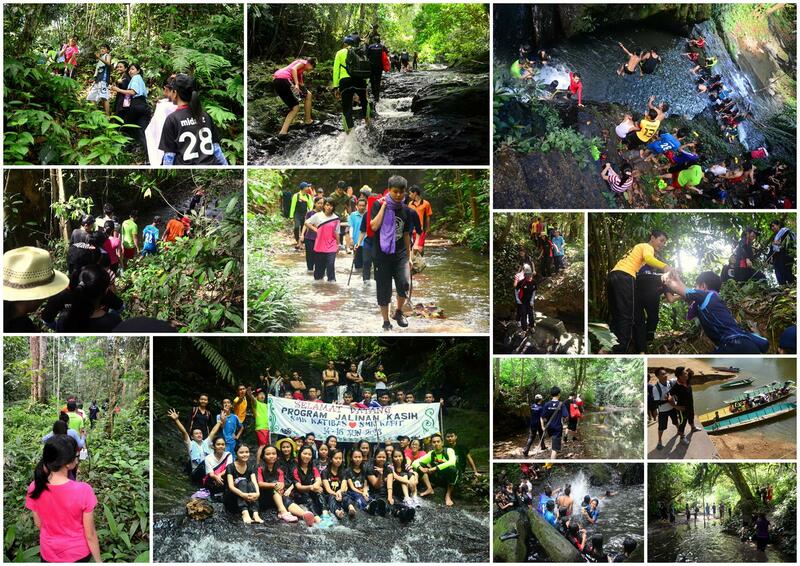 That afternoon, we took them jungle trekking. We spent 3 hours in the jungle trekking through thick foliage & wading through rivers to arrive at a magical waterfall where students & visitors alike had a lot of splashy fun. That night, our school put up a Cultural Night show for them. 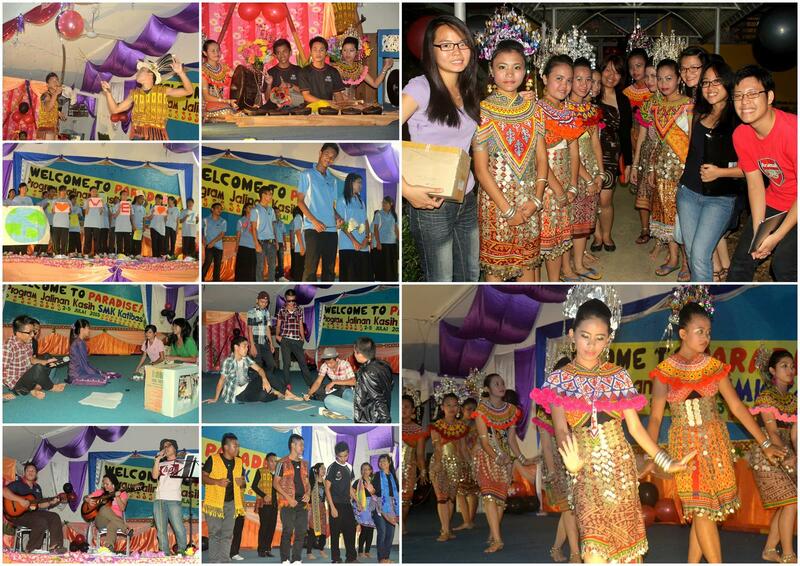 My students did cultural dances, sang songs & so did our teachers. Everybody had a great time! The next morning, they joined our Youth Service. We joined together in prayer & studied the bible together. 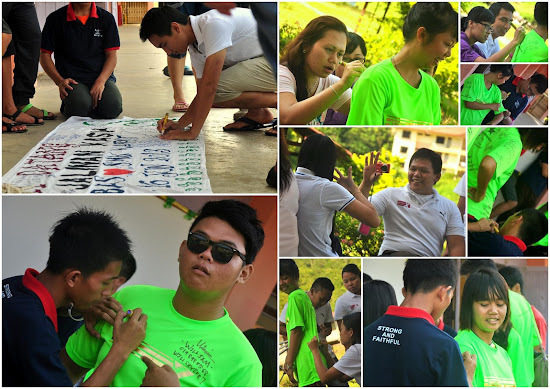 Before they left, we took group photographs, autographed shirts & also autographed the banner. They wanted to bring the banner back to SMK Kapit with them as a memento to this momentous event. They wanted to bring back a piece of SMK Katibas back with them. How sweet. Rightfully so. They've gained so much during the weekend & made so many meaningful connections. Don't you think that it was a trip worthy of making? I'm sure there will be more insights & benefits to be gained from travelling all the way to my ulu jungle school instead of staying confined in their comfort zones at home. Don't you think children & adults alike will benefit from helping others? My students gained a lot from this small group from SMK Kapit & I am pretty sure they gained a lot from us too. This exchange was mutually beneficial. WHAT WOULD YOU DO IF YOU WERE GIVEN THIS OPPORTUNITY? For the brave few who took the road not taken, I salute you. You have taken the first step towards discovering what it takes to be truly successful in life. Something that, unfortunately, is not taught in school but is discovered through obtaining unusual experiences such as these. I wish you well & I pray that God will bless you abundantly for the priceless blessings you have brought to my rural school students. View all the pictures here on my FB page.